It’s time to pick a WINNER! Is it you? Hello Heffy Doodlers! It’s time to pick a winner! WOO! This is the fun bit as everyone loves being a winner, huh? We had our influencer blog hop last week. Did you see all the awesome projects that our crafty friends made using the new release? Even though the competition has closed, if you haven’t hopped along yet, why not take a look and be seriously inspired! Congratulations Beatrix. 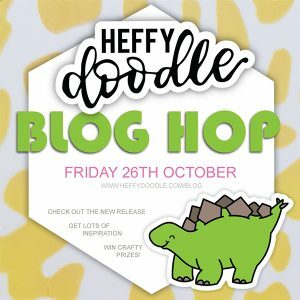 To claim your prize, please email your details to info (at) heffydoodle.com before 8th November. If you didn’t win, don’t worry, because we also had a fun collaboration with Marvy Uchida over on Instagram at the weekend! The giveaway is still open on 11.59pm CST on 3rd November. Why not take a look! Yeyyy, Thank You so much!